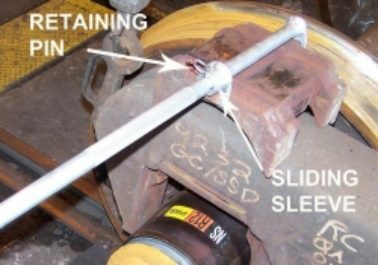 The Roller Bearing Adapter Retaining Straps keeps hands and fingers out of harms way when replacing freight car wheelsets. 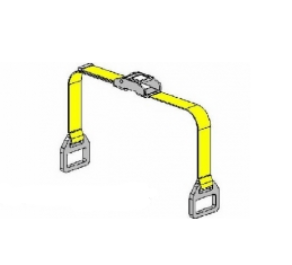 The strap retainers have been specifically designed to fit all sizes of adaptors. 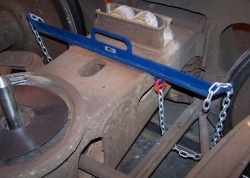 The retainers do not require positioning, and will not slip or slide in the webbing, unlike straps utilizing conventional triangular or “D” rings. A quick pull on the webbing tightens the strap, safely securing the adapter in the side frame. The strap is easily removed by pushing the webbing release button. 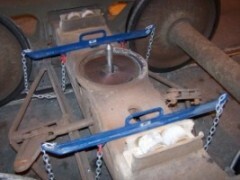 Two straps are required for wheelset replacement. 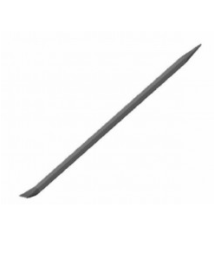 60” pry bar for heavier applications.